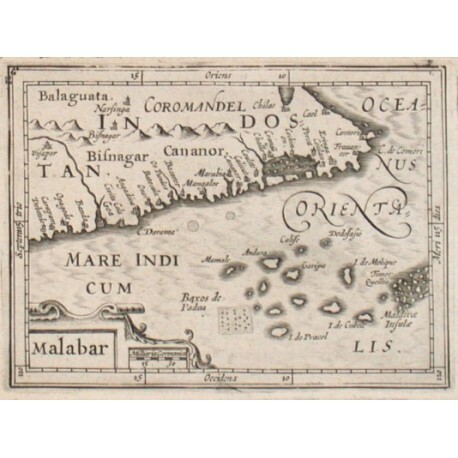 India."Malabar". Copper-engraving by P. Bertius published by J. Hondius, 1616-18. With small ornamental cartouche. 9,5:13 cm. Koeman III, map 8320:342, ed. 342:01 - An east-oriented miniature map of a region of southern India, lying between the Western Ghats and the Arabian Sea.